Hankey Law Office > FAQs > If my group long term disability coverage is denied, should my employer be in charge of contesting the decision? If my group long term disability coverage is denied, should my employer be in charge of contesting the decision? Typically, if a long term disability claim is denied, it is the individual’s job to contest it. Your employer can help point you in the right direction, but ultimately only you have access to the essential items needed to contest a claim. For instance, an employer cannot legally have access to your medical records and you will need extensive medical proof of your condition in order to fight an insurance company’s decision. 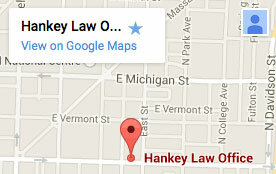 If you would like to speak with an attorney about your situation, then the Indiana long term disability lawyers of the Hankey Law Office can help. Contact us today at (800) 520-3633 to learn more.